A great way to tear kids away from their electronics and get back to basics! Classic 150-piece set is made with all wood construction, and colored with food based dye and wax seal. 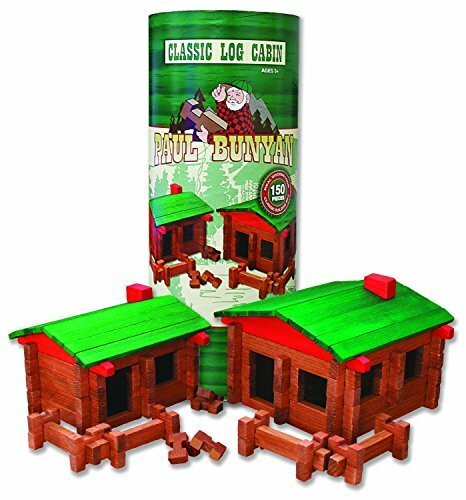 Includes red and green roof sections and enough logs to make two cabins! Made and packaged in the USA.